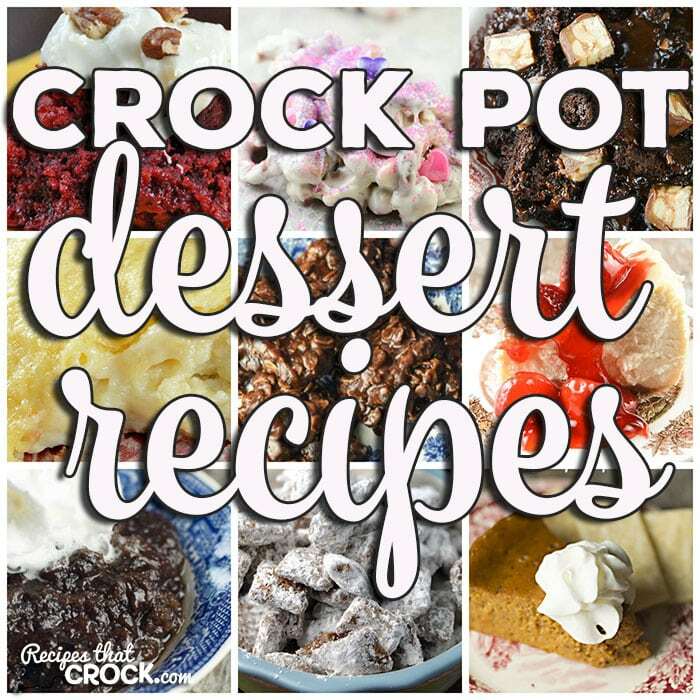 Crock Pot Dessert Recipes: Friday Favorites - Recipes That Crock! This week for our Friday Favorites we have Crock Pot Dessert Recipes like Crock Pot Muddy Buddies, Princess Crock Pot Candy, Crock Pot Cherry Cheesecake Bars, Crock Pot Rice Krispy Treats, Crock Pot Peppermint Bark, Crock Pot Magic Bars, Crock Pot No Bake Cookies, Slow Cooker Bunch of Crunch Candy, Crock Pot Snickers Lava Cake, Crock Pot Red Velvet Spoon Brownies, Easy Crock Pot Peach Cobbler, Easy Crock Pot Caramel Pie, Crock Pot Peaches ‘n Cream Dump Cake, Crock Pot Marble Brownies, Crock Pot Chocolate Cobbler, Crock Pot Crustless Pumpkin Pie, Crock Pot Peach Apple Sauce, Crock Pot Cream Cheese Danish, Easy Crock Pot Honey Granola, Homemade Crock Pot Cheesecake, Crock Pot Chocolate Pudding and Crock Pot Apple Dumplings. Sugar Princess here…aka Aunt Lou. Mikey has recently dubbed me the Sugar Princess. So it was only fitting that this week I share some of our favorite desserts! I have pulled together a list of some amazing Crock Pot Dessert Recipes for you and yours to enjoy! I cannot wait to receive your recipes.